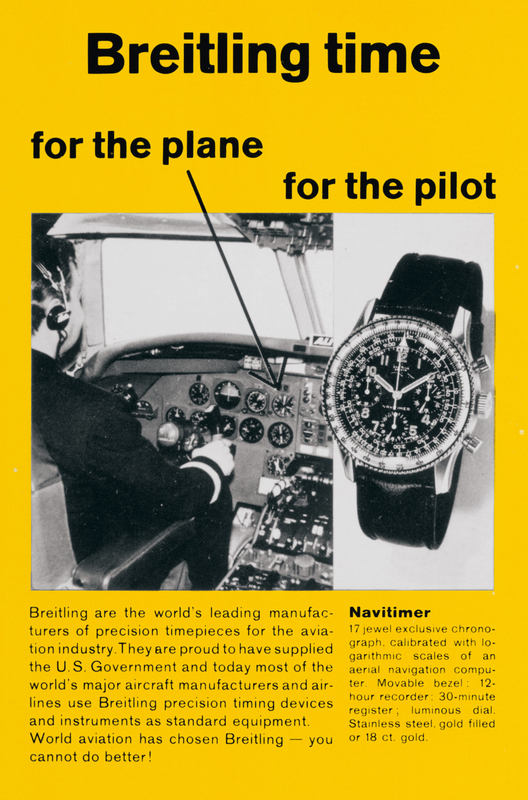 Watch manufacturer Breitling played an important role in the golden era of aviation, helping crews track the full range of calculations related to navigation. To commemorate the most emblematic airlines of that time, the brand has now created a capsule collection of Navitimer 1 Airline Editions. The collection is being launched with the Navitimer 1 B01 Chronograph 43 Swissair Edition, which will be followed by timepieces celebrating other important airlines. 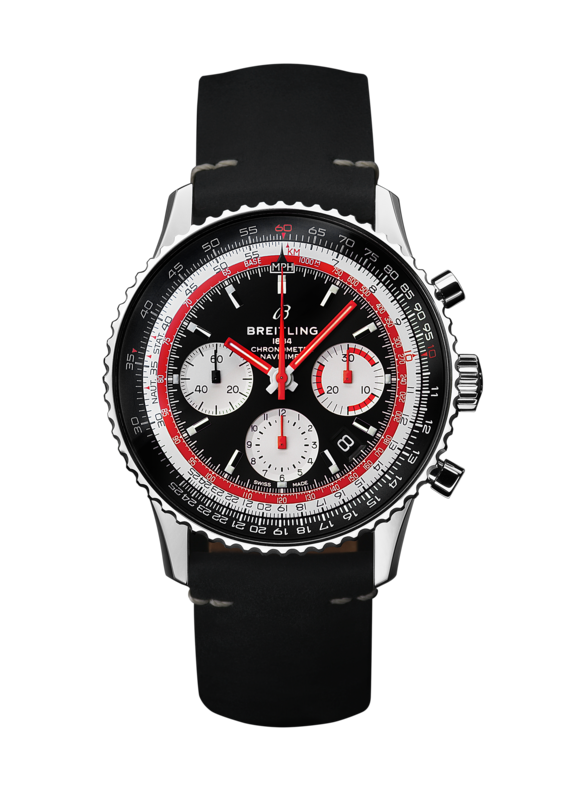 Breitling’s first capsule collection captures the cool and evocative style of the 1960s and 1970s. The Navitimer 1 Airline Editions pay an affectionate tribute to the pioneers of civil aviation and celebrate the most emblematic airlines of the era. Thanks to them, the world suddenly became smaller as the dream of flying was no longer limited to a privileged elite. 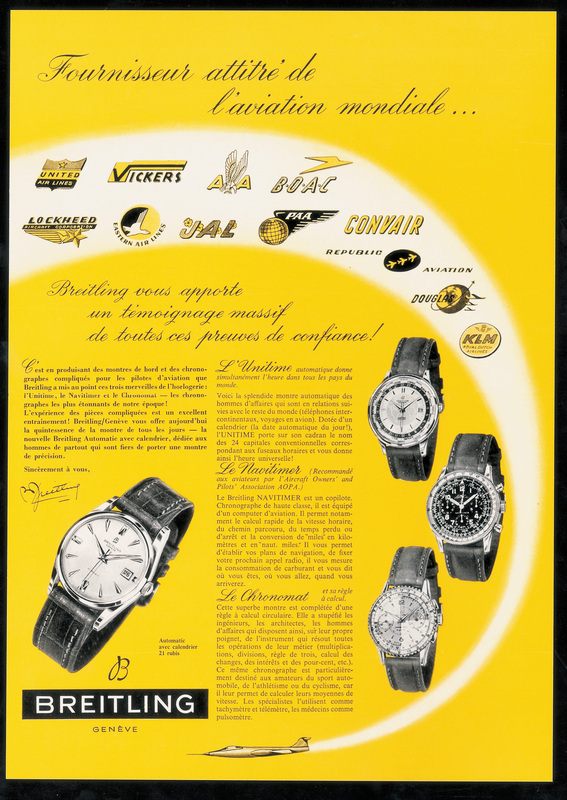 Breitling played a key role in the emergence of commercial flight, since its onboard chronographs became standard equipment; first in propeller-driven planes and later in the jets produced by the world’s leading aircraft manufacturers. 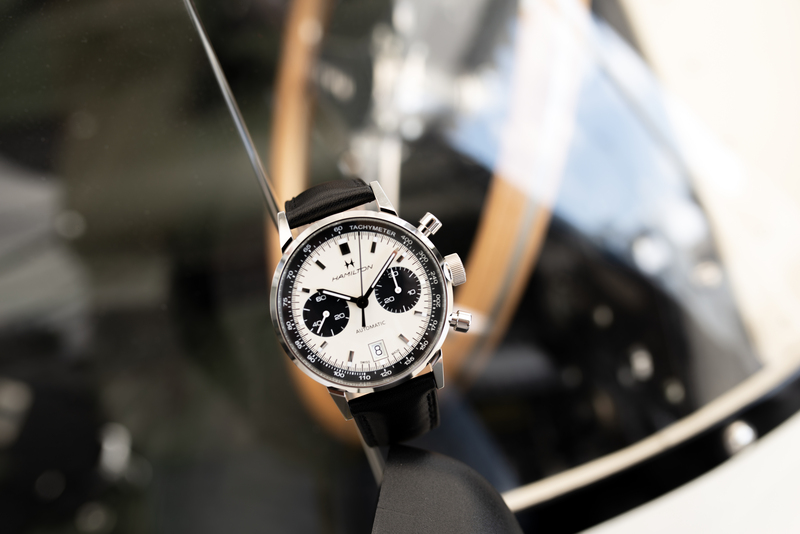 All models of the Navitimer 1 B01 Chronograph 43 Swissair Edition feature a bi-directional rotating bezel fitted with the famous circular slide rule, which serves to perform the entire range of calculations relating to airborne navigation. 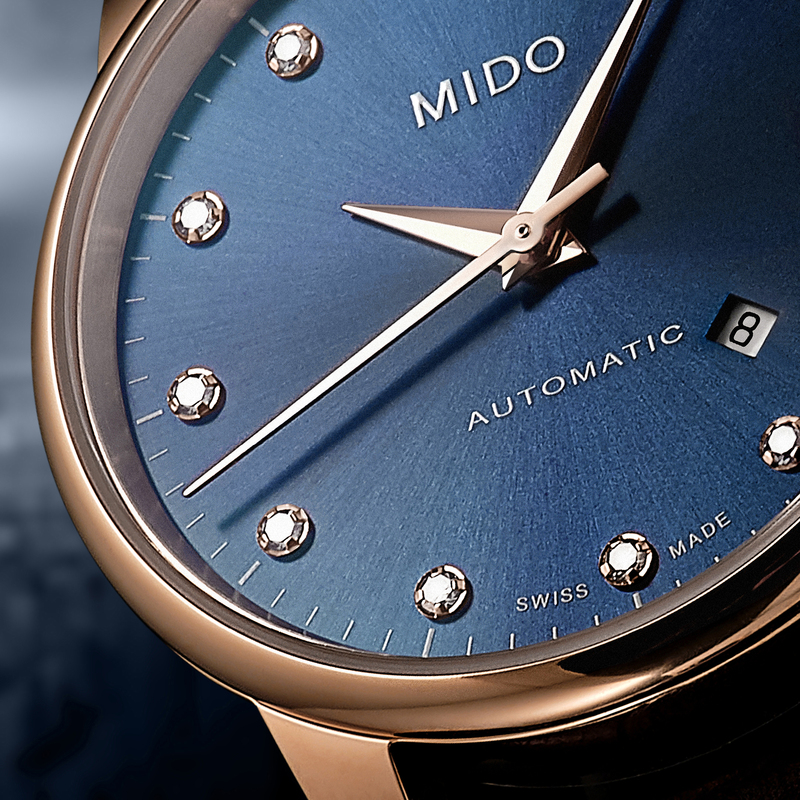 Their distinctive straight hands give the watches a dynamic, contemporary interpretation of a classic look. The dial itself is black with silver subdials; indices as well as hour and minute hands come with Super-LumiNova to ensure best legibility even in the dark. 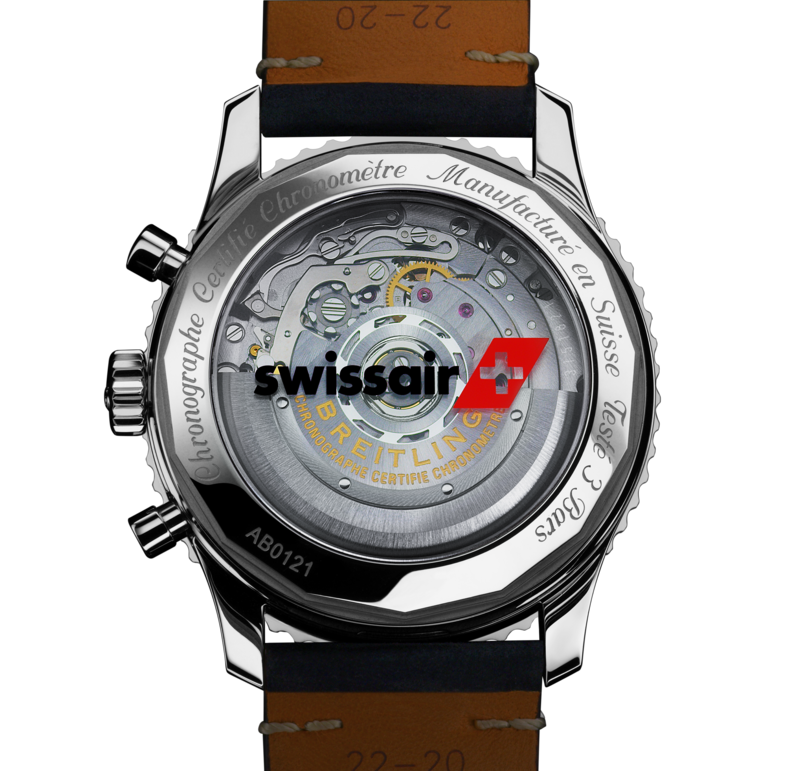 The red highlights on the dial are a hommage to Swiss Air and the transparent case back bears a printed Swissair logo. 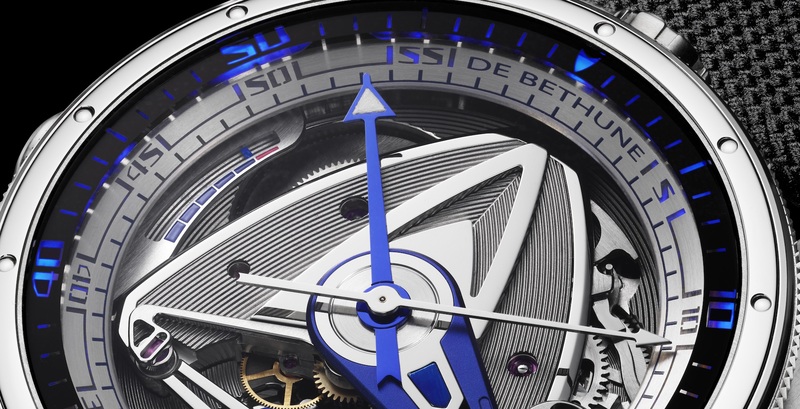 The dial is protected by a convex, double anti-reflective sapphire crystal. All Navitimer 1 B01 Chronograph Airline Edition watches are powered by the Breitling Manufacture Caliber 01. The in-house mechanical chronograph movement features both remarkable precision and a power reserve of approximately 70 hours. It works at a frequency of 4 Hz. 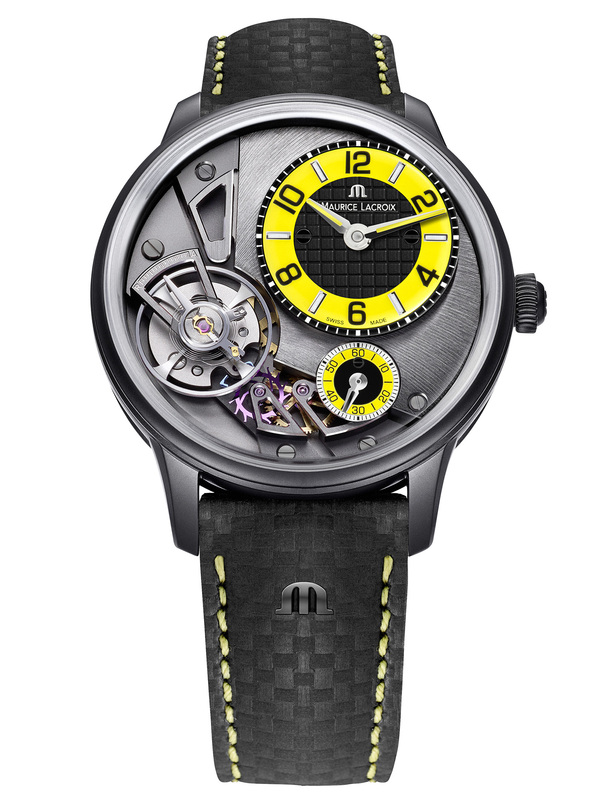 The movement is housed in a 43-mm-stainless steel case which is water resistant up to 3 bar. 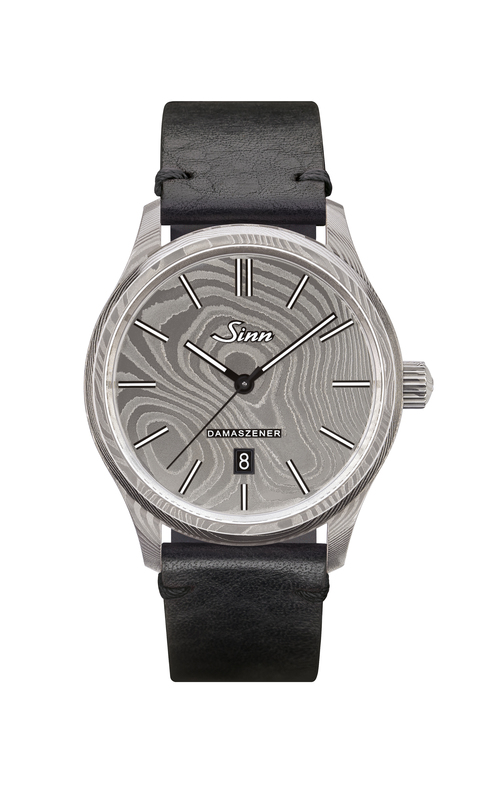 It is fitted with a vintage-inspired black leather strap or a stainless-steel mesh bracelet. This first Breitling capsule collection will be available from April 2019 at Breitling boutiques and official retailers for a limited period of time. 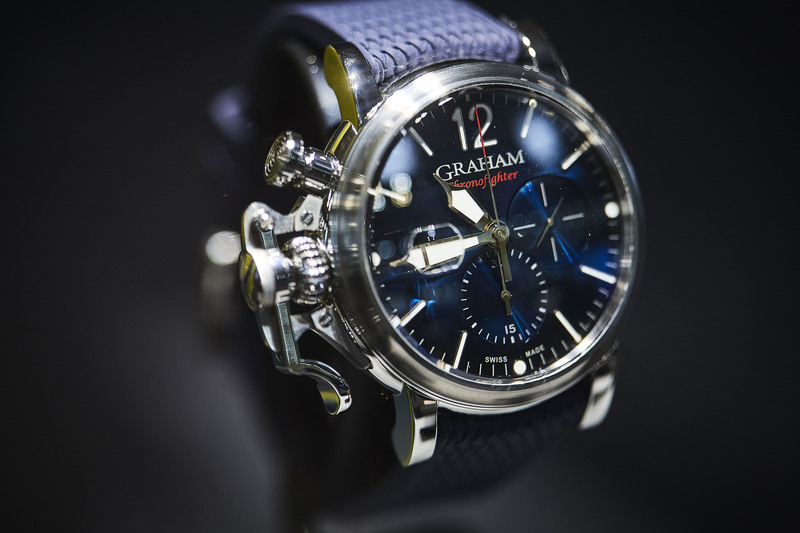 The Graham Chronofighter Grand Vintage definitely means business and is not subtle in any way like, at all.The watch manufacturer thinks big and doesn’t shy away from transforming its big ideas into big watches. Into four of them, in this particular case. 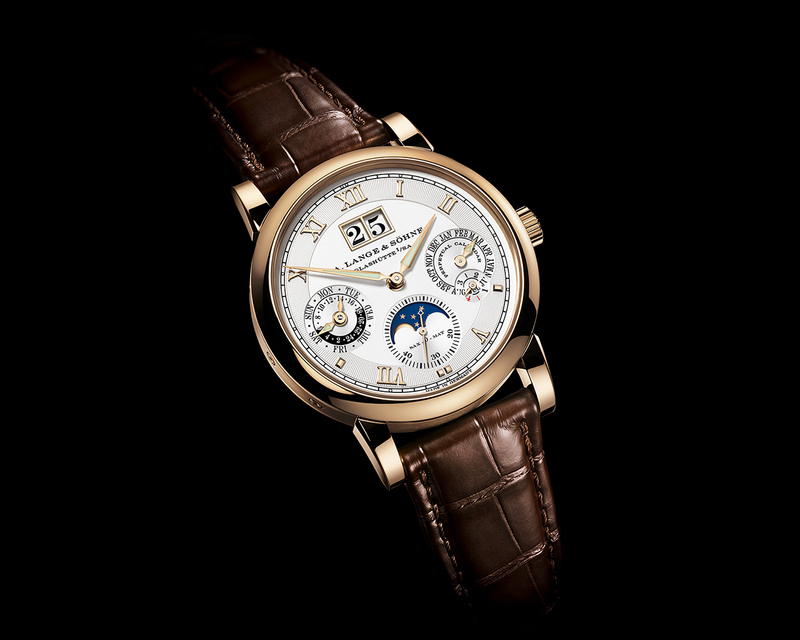 These timepieces shall transfer its wearer back to the 1940s and therefore bridge the gap between yesterday to today. To stick to the point: The trigger on the left-hand side of the case acts as a symbolic bridge between nostalgia and modernity. Originally placed there for easy thumb-activated operation in the cockpit, the placement of the crown is now a reminder of Graham’s roots in aviation. The case’s large diameter of 47 mm serves to enhance legibility of the chronograph dial, as well as adding an additional active signature. 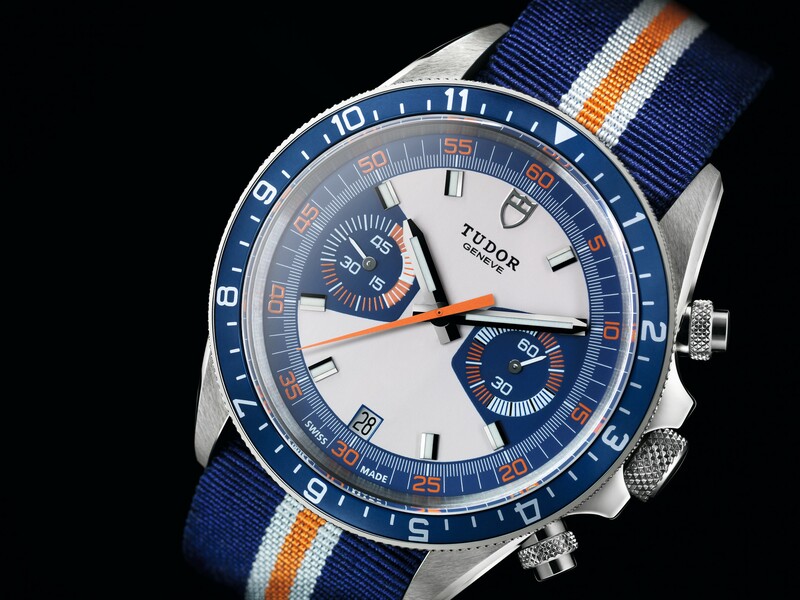 The stainless steel case also guarantees a water resistance of 10 bar. 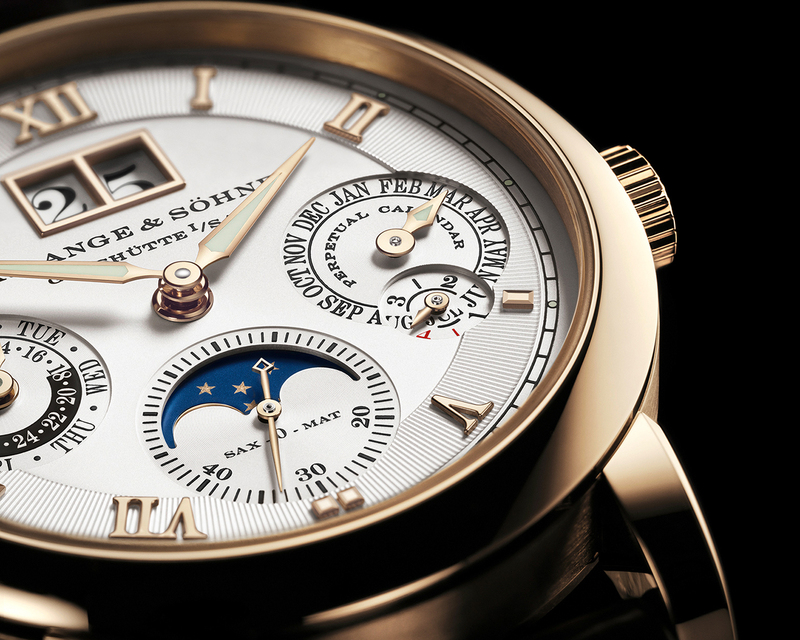 A domed sapphire crystal integrates a magnifier for the date at nine o’clock. Just to be sure that solar power can be put to aesthetic use, a steel satin-brushed bezel and sunbrushed dial with a gradient are ready to catch the rays. 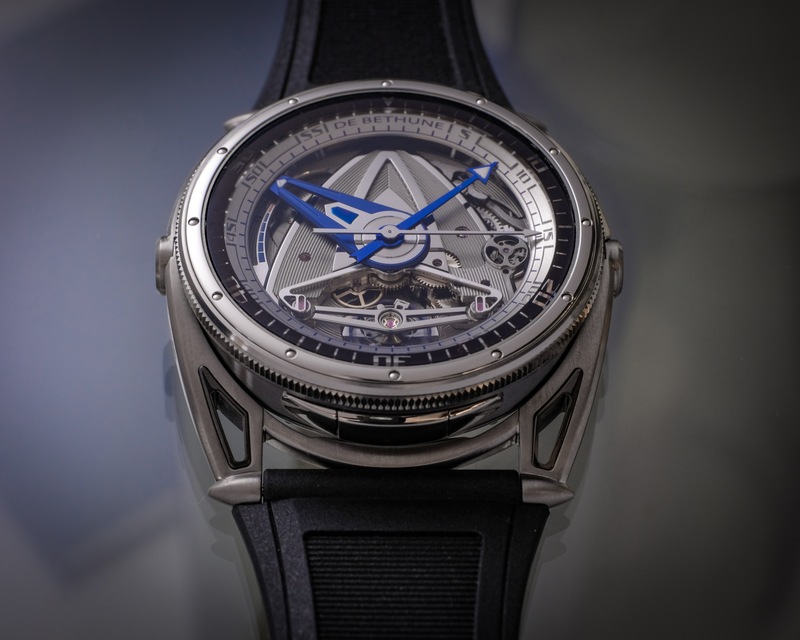 Inside the case works the calibre G1747, a Swiss made automatic movement. 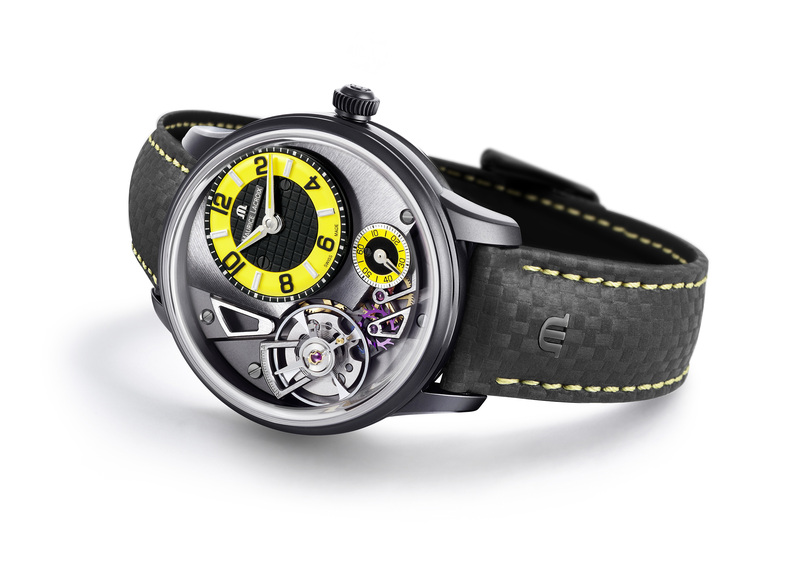 It features an Incablock shock absorber and a power reserve of approximately 48 minutes. All dials of the Chronofighter Grand Vintage are equipped with a sunbrushed dial that also features a gradient; getting darker around the edges. One can choose from four colours: blue, brown, silver or black. The big hands, numerals and indices are coated with Super-LumiNova. 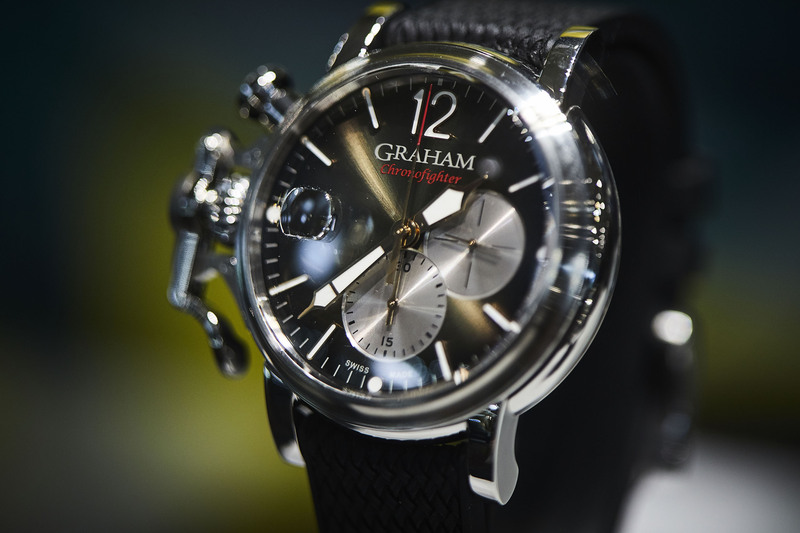 At three and six o’clock Graham has placed two subtly overlapping subdials; the one at 3 o’clock showing the running seconds, the one at 6 o’clock the 30-minute-counter of the chronograph. 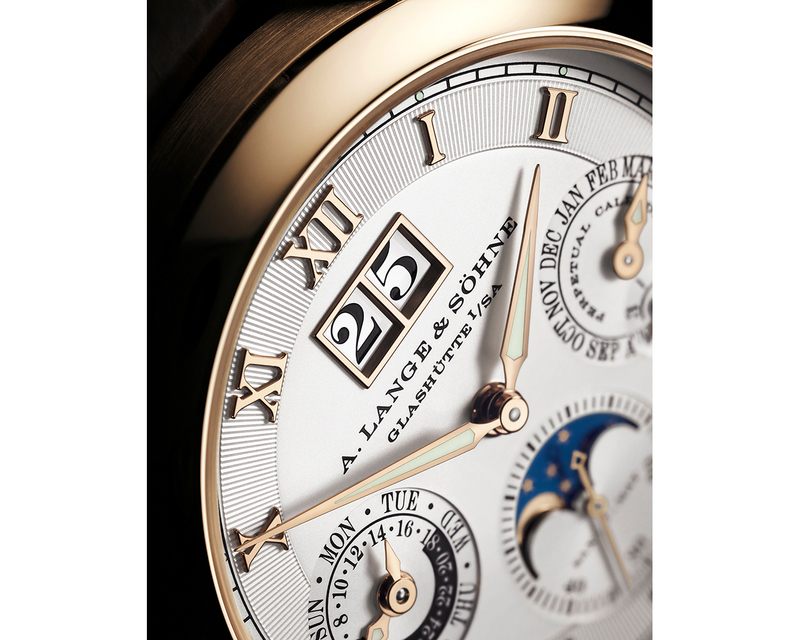 The dial is protected by a sapphire crystal with anti-reflective coating which also features a magnifier above the date window at 9 o’clock. 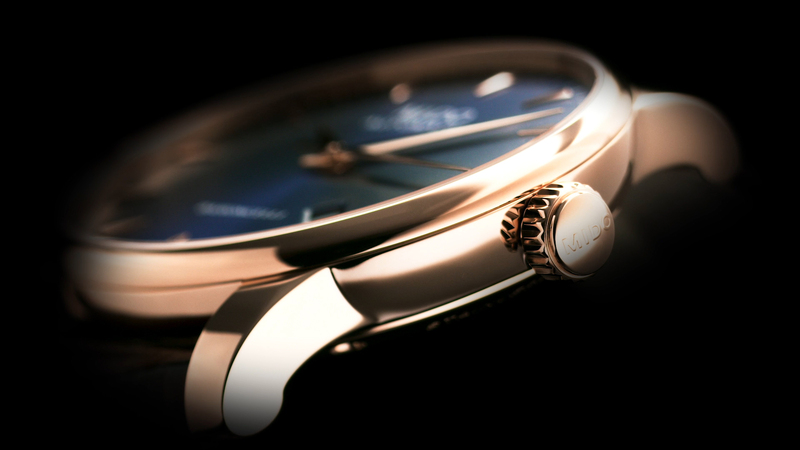 Behind the dial, the calibre G1747 is working tirelessly. 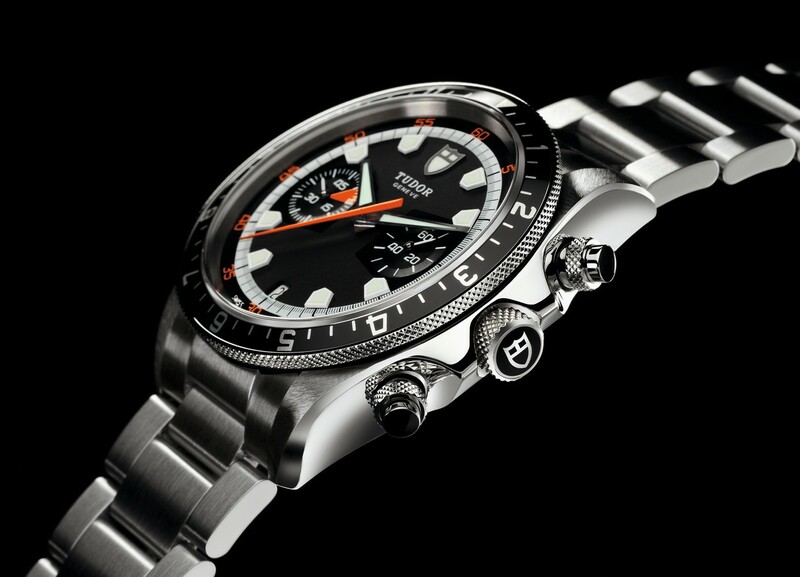 It is an automatic chronograph movement, working at 4 Hz and providing a power reserve of 48 hours. The four Chronofighter Grand Vintage watches feature sporty rubber straps in black or green with a distinctive Milanese-style mesh pattern – newcomers to the family. 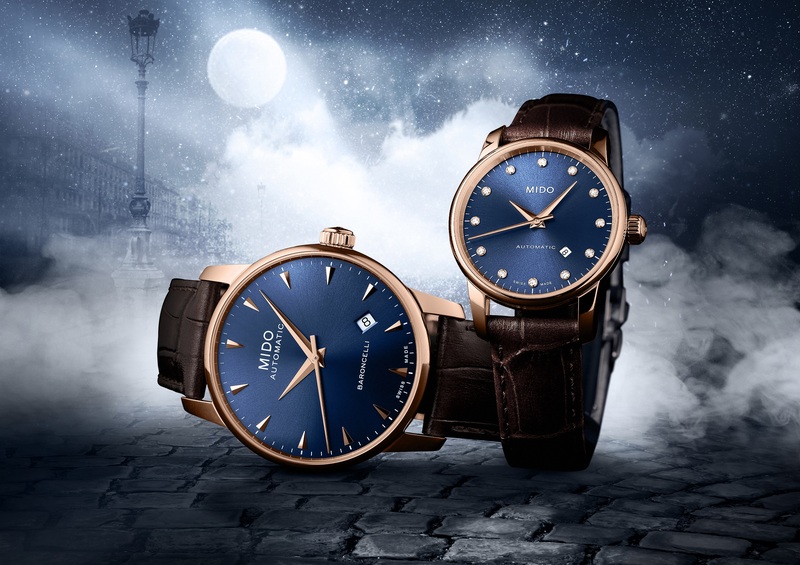 A calf leather variant in blue is geared to those wishing to confidently cling on to a classic. 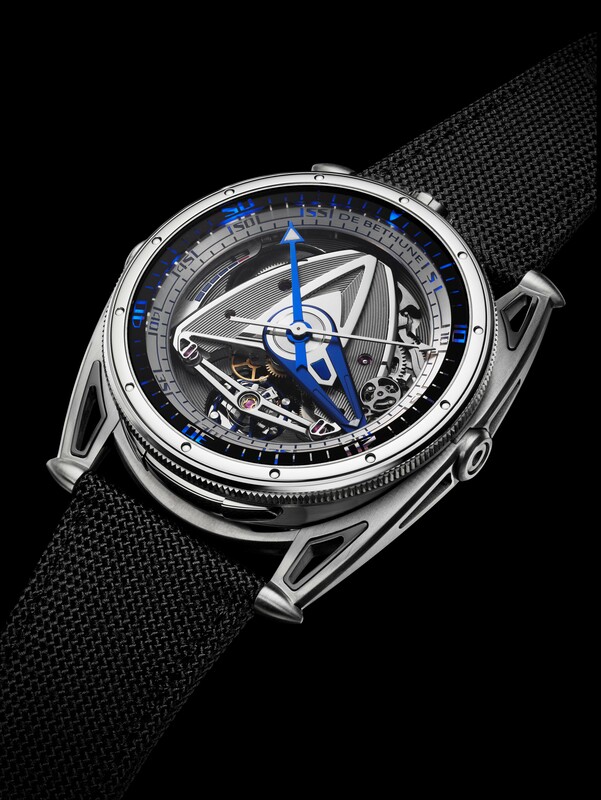 Here at the wristwatches blog we are known fans of the vintage trend that is still going strong within the watch world. Yes, we love everything retro and we’re getting excited about a lot of the lovingly created and often very cool reissues of various manufacturers. And of course, Hamilton is also joining the party. 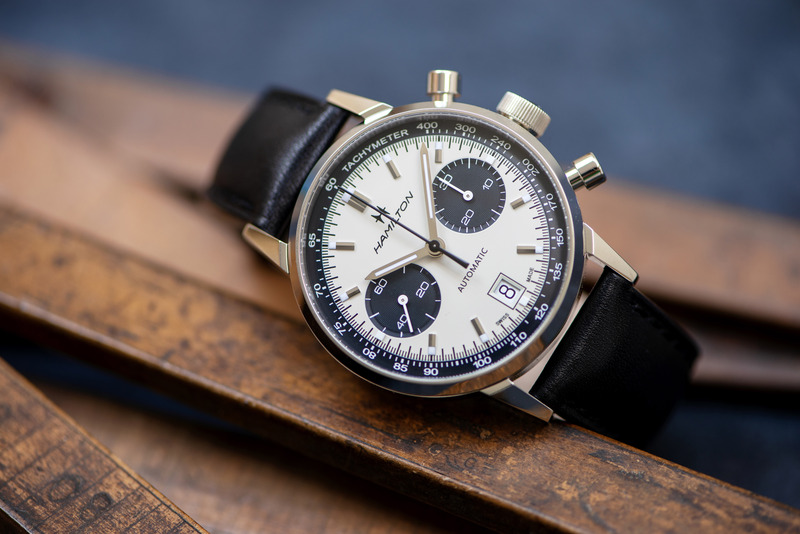 Not long ago, the american watch manufacturer has revived its 1968 chronograph, presenting a model that draws on the classic good looks of its ancestor. 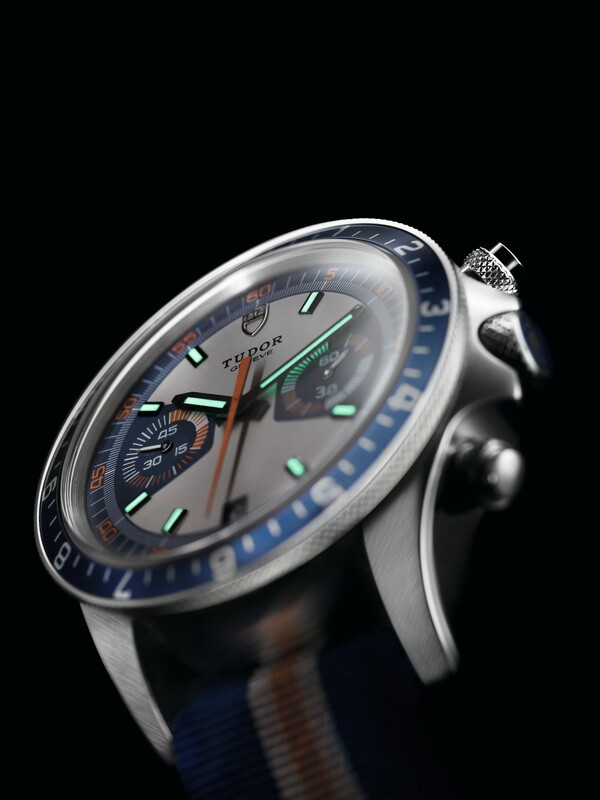 We (as many of you, we might imagine) especially love the panda dial that comes with the new Intra-Matic Auto Chrono. The new 40 mm stainless steel case is slightly larger than the 36 mm original – the first hint that this is a watch updated to reflect modern tastes. But Hamilton made sure to retain the authentic late 60s look and feel. It is also waterproof up to 10 bar. The highlight is, of course, the original panda dial that was so popular in the 60s and 70s; but largely disappeared since then. Even the font and Hamilton logo across the dial are the historic version from 1968. 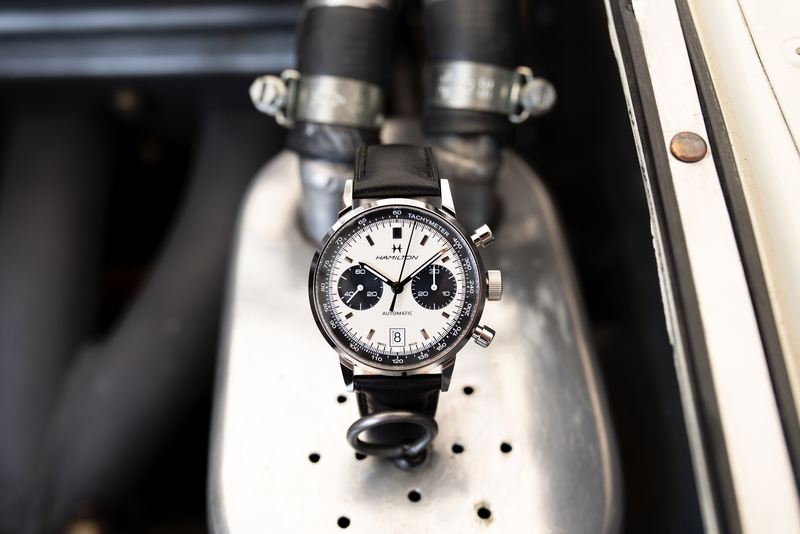 The white dial with black chronograph counters harmonize beautifully with the black tachymeter scale running around the outer edge of the dial, making sure the bezel is staying slim. At 6 o’clock is a prominent but not intrusive date window and generous applied Super-LumiNova on the indices and hands are making sure that best legibility is assured even in the dark. 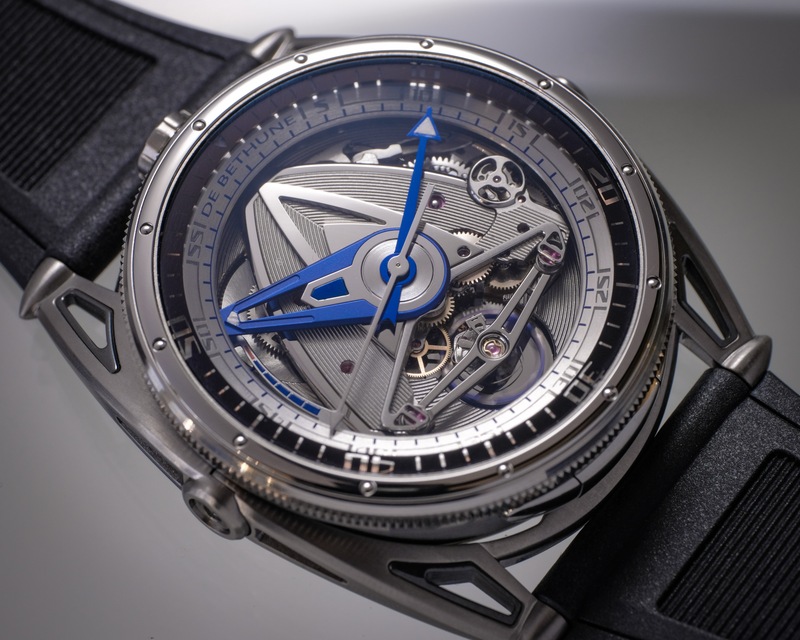 Inside the case of the new Intra-Matic Automatic Chrono works the calibre H-31. 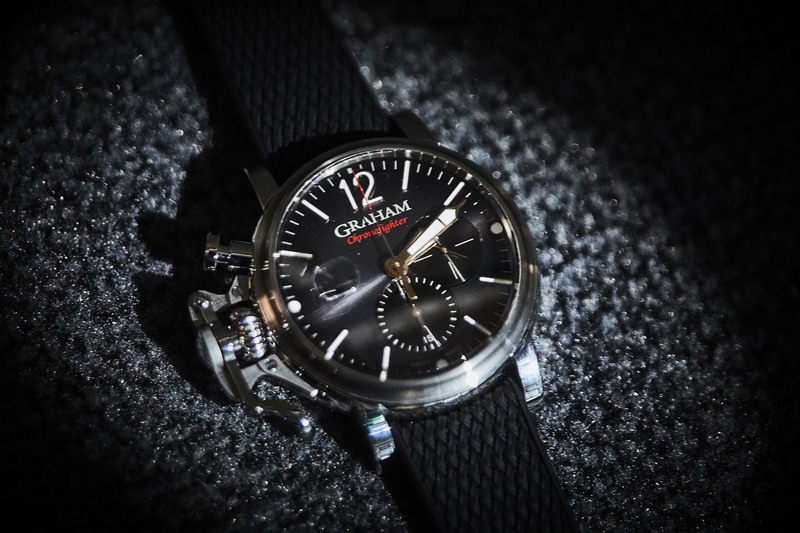 This automatic chronograph movement provides a comfortable power reserve of 60 hours. 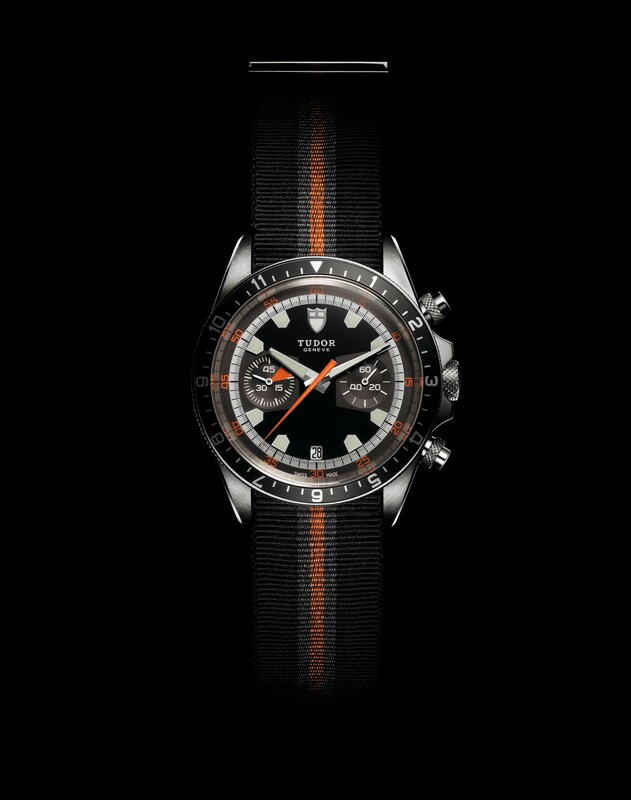 The chronograph comes with a black leather strap. 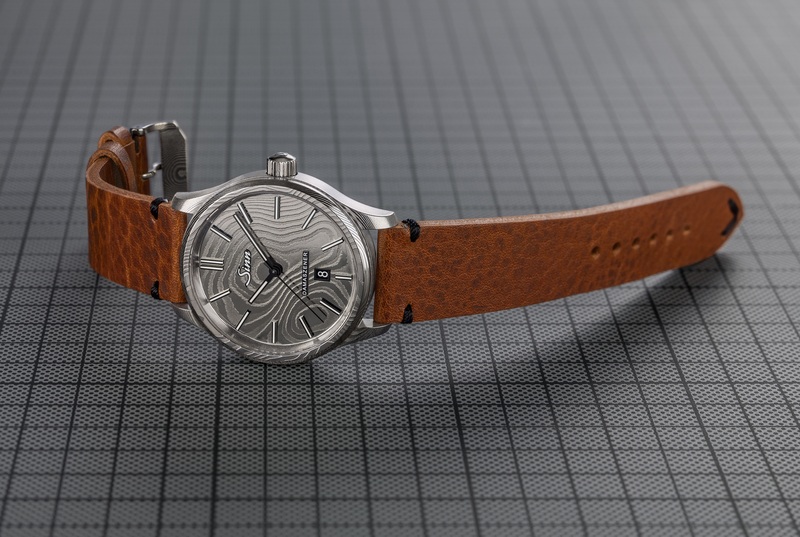 Retro and also understated cool – can anyone possibly want more in a wristwatch? Swiss made maybe? 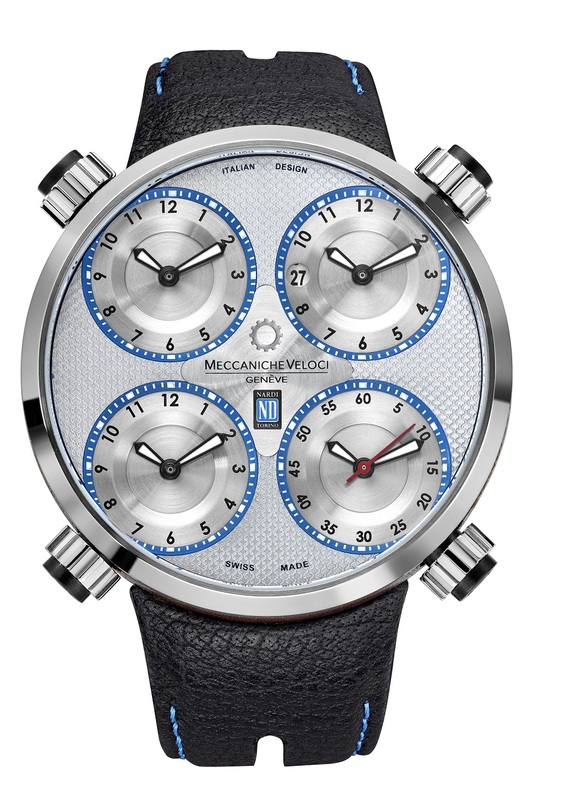 Of course the Intra-Matic Automatic Chrono is also that. 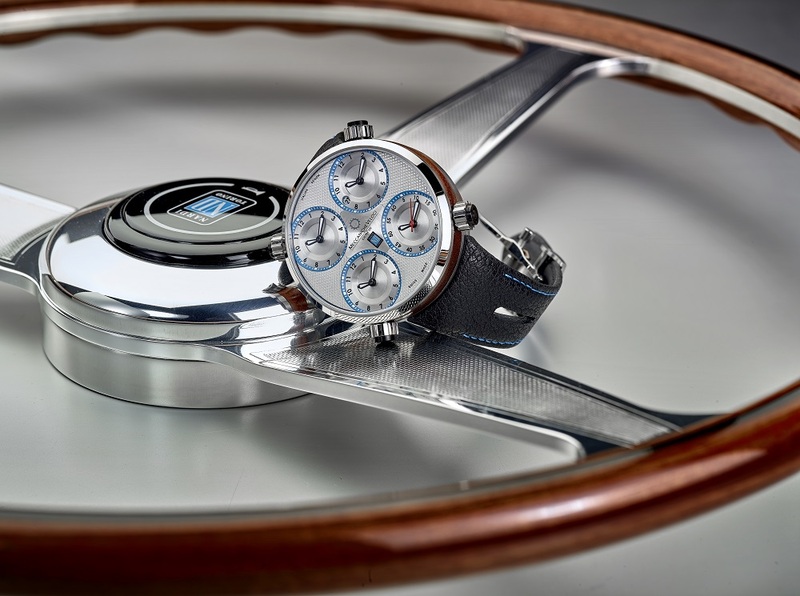 After all, American design made in Switzerland is one of Hamilton’s signature features.